The garden angel was an early garden present from a student, and lives on the house decking near the big brown flax. 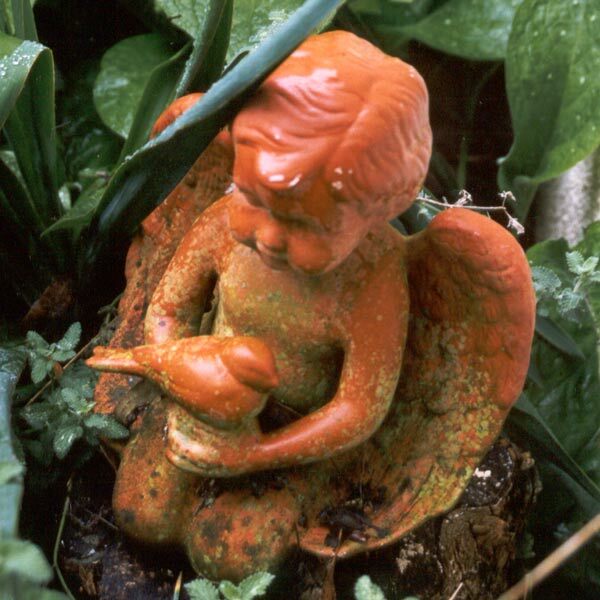 The terracotta angel gets submerged in Honesty (spring) and Catmint (summer), and often is covered in gum tree leaves. 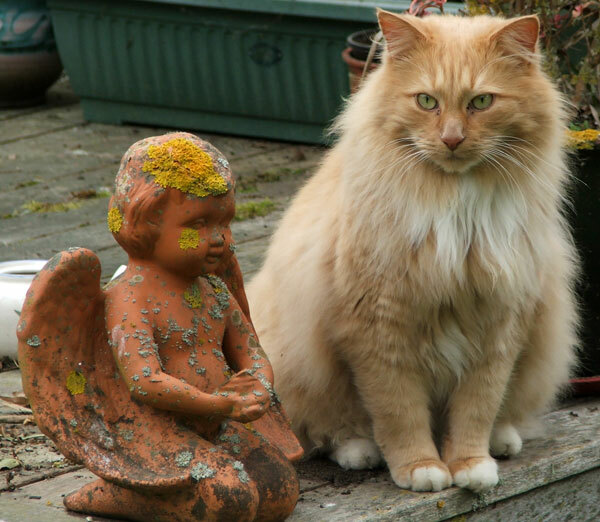 She also guards a collection of decking pots. I can see her as I sit at my table writing up my diary.